This entry was posted on November 11, 2013 by travelling crone. 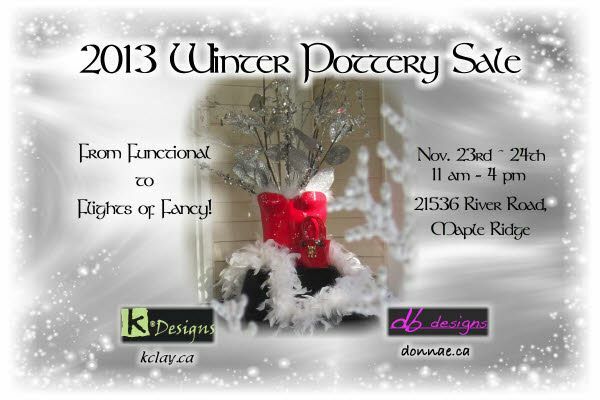 It was filed under Sales and was tagged with donnae, functional pottery., kerry, pottery, red dog studio, xmas sale. Sounds good-it’s on my calendar!